Home ⎢Thailand Cave Rescue: the first four boys are out! The British Cave Rescue Council has issued a statement about today's ongoing rescue mission at the Tham Luang Nang Non Cave in northern Thailand. "This is a challenging rescue operation. The best people are in place there." At present there are mainstream media reports that four boys have been successfully brought out of the cave at around 13.00 BST (19.00 Thai time) today, Sunday 8 July 2018. The children are now at Chiang Rai hospital. They arrived by ambulance or were airlifted by military helicopter. A BCRC spokesman stated "it is for the Thai authorities to confirm these details in order to ensure that the families are properly informed and the children have appropriate treatment after their ordeal." Currently there are six British cave divers on standby in the UK ready to fly to Thailand in the event that the request is made. During the day it has been spitting with rain, with some heavy downpours. It is now raining at the cave site, but not as heavily as it has been. It is not known how soon the flood water levels in the cave system will be affected by significant volumes of water. This is a race against the weather. 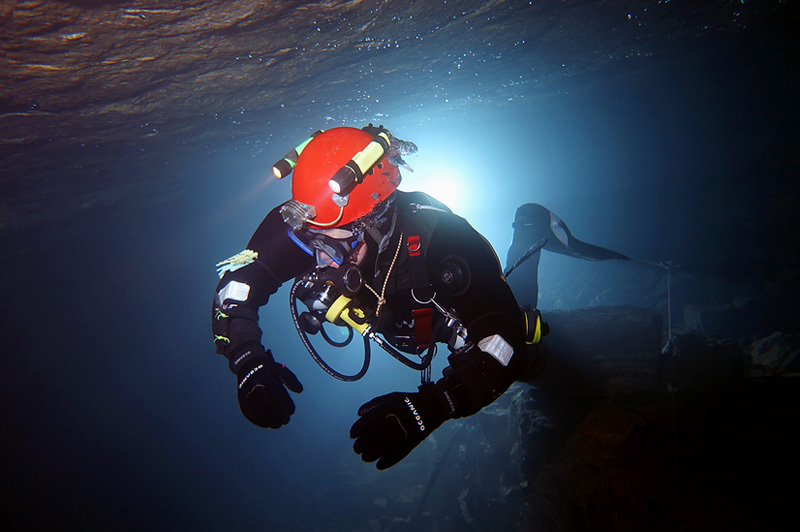 A number of the specialist cave diving rescuers are members of the oldest diving club in the world, the Cave Diving Group. The CDG was founded in Britain in 1946 by Graham Balcombe. Graham Balcombe, along with Jack Sheppard, pioneered cave diving in the late 1930s at Wookey Hole and Swildon's Hole in Somerset, UK. Today members of the Cave Diving Group are involved with cutting edge exploration around the world. A CDG diver told me "we are all invested in this rescue. There are a lot of people working behind the scenes in the UK ferrying people to airports, and collecting equipment. Our friends are out there and we are doing all we can to support them." Several members of the UK cave diving fraternity have pooled their personal kit for this rescue, with no expectation of seeing their gear again. A member of the CDG - David Brock - stated that all the volunteers have been working tirelessly. "This is a challenging rescue operation. The best people are in place there. We now need to give the team time and space to continue to conduct their rescue mission." Charitable rescue organisations such as the British Cave Rescue Council are generally not that well funded. If you feel that you wish to make a practical difference, please consider donating something to this charity. The money will be used to support this and future cave rescues.